Spatial quality is still too often neglected in interventions to keep the water out. That is unnecessary, concludes PhD candidate Anne Loes Nillesen. First list the technical possibilities, then develop an integrated solution in consultation with all relevant parties. Sliedrecht is a dark-red patch on the flood risk map of the Netherlands. Its dikes will need to be strengthened considerably in the face of the current climate scenarios. But how can you strengthen the dike that protects the town without destroying the ensemble of characteristic houses built on either side of it? When the Delta Works were under construction, houses that stood in the way were often simply bulldozed aside, as can be seen on previously fortified stretches of dike. Today there are a wide range of alternatives available, such as retractable barriers, dike elevation or moving the dike closer to the river. The latter option could take the form of a cofferdam - a structure comprising two parallel walls of sheet piling. "It's not nice to look at, but if you integrate it into a walking route along the river then everybody could benefit from it," says Anne Loes Nillesen. "It all comes down to good urban planning." For her PhD research 'Spatial quality as decisive criterium in flood risk strategies', she investigated how flood protection measures can be integrated in spatial plans. After the 1953 North Sea flood, flood protection strategies were considered more as part of integrated plans, but the context was different. Spatial integration, cultural heritage and ecology all had less priority. This sometimes leads to clashes between the measures and the surrounding environments, particularly in urban areas. Later programmes, such as 'Room for the River', the 'Flood Protection Programme' and the 'Delta Programme', were more successfully integrated in the surroundings, but these are still rare examples. Nillesen thinks there is room for improvement. In her PhD research, she notes that the role of urban designers is too often limited to integrating technical solutions at the local scale. In current practice, after it has been decided to elevate a dike or install a barrier or barrage, designers are asked to find ways to optimally fit the change into the surroundings. Nillesen believes spatial integration should in fact be one of the criteria in the selection of a flood protection strategy. If you start by identifying all the technical options that provide a safe solution, you can then consult with the urban designer to choose the one that best fits the spatial design requirements. This will also make it easier to take account of heritage or ecological values. The condition is that designers are involved in the process from the start, and not invited to make their contribution halfway through. For her PhD research, she fleshed out various scenarios, with a focus on the Rijnmond-Drechtsteden region, which she is using as a case study. She has created sketches to show how a dune, cofferdam or barrier can be integrated and how these flood prevention measures can offer new spatial planning opportunities. 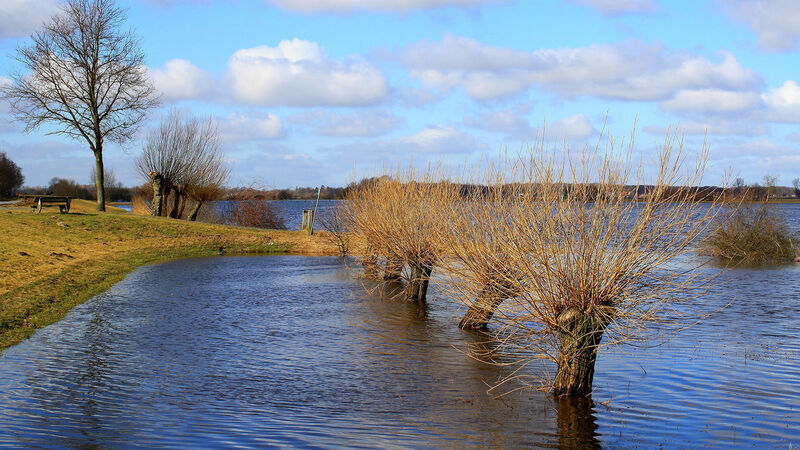 Dutch flood protection policy focuses on reducing the likelihood of floods, although you can also implement adaptive measures to limit the impact of climate change, for example by building houses on poles. This strategy is being implemented along the coastline in Galveston, Texas and in Bangladesh - two delta regions with a different approach to the Netherlands delta programme. Nillesen notes that these regions are behind the Netherlands in terms of multidisciplinarity. 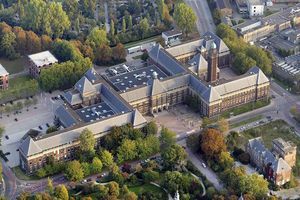 "In the Netherlands, we are becoming increasingly aware of the advantages of formulating joint strategies. This is a boon for our spatial quality."